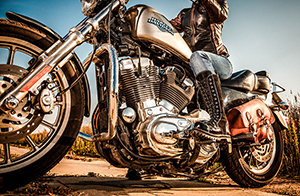 Home / Blog / Uncategorized / As Harley-Davidson Rides a Bumpy Road, Should Suppliers Be Concerned? As Harley-Davidson Rides a Bumpy Road, Should Suppliers Be Concerned? Posted May 23, 2018 by Ernie Martin. A number of articles have been published recently touting the demise of one of this country’s most iconic brands, Harley-Davidson. The motorcycle company has experienced a slight downturn in sales over the previous 12 to 18 months. According to its Website, Harley-Davidson worldwide retail motorcycle sales were down 6.7% in 2017 compared to 2016 while U.S. retail sales decreased by 8.5%. With that in mind, should organizations supplying Harley-Davidson be worried about issues such as potential extension of payment terms, renegotiation of those terms and other shifts to its supply chain? First, let’s consider the issues having a direct impact on the sales of this iconic, American brand. According to a USA Today article titled Women help rev up the motorcycle industry, women ridership has been on the upswing, as the number of registrations from the year 2000 until now have almost doubled. That’s good news, but it must also be coupled with the fact that there is lower interest among millennials to coalesce around the Harley-Davidson brand as a lifestyle choice. Though not a scientific representation of their demographics, most people gravitating toward the motorcycle lifestyle belong to the baby boomer and Generation X segments of our population. Harley-Davidson has struggled to appeal to the 71 million millennials, compared to the healthy inroads it’s made into the 41 million Generation Xers and the 82 million baby boomers. It is possible that as millennials age, raise families and send kids off to college, their interest in motorcycles will increase. But, Wall Street doesn’t opine today based on possibilities 10 or 20 years from now and, as a result, the stock has also taken a bit of a beating since the beginning of the year. Add to that the fact that Harley-Davidson recently announced a plant closing in Kansas City resulting in a net loss of approximately 350 jobs and you’ve got a company that appears to be heading for sustained financial trouble in the near term. Furthermore, there are competing brands, such as Indian Motorcycle (resurrected by Polaris in 2011) and the Italian motorcycle company Ducati, currently owned by Volkswagen, where sales are growing by double digits. Harley-Davidson still has great brand recognition, but what must the company do to further leverage that recognition and bring about a healthier financial outlook, not only for the company but for its supply chain as well? As Harley-Davidson lays off workers and shifts some of its operations, the hope is that its cost-cutting and streamlining would assist in shoring up its bottom line for the long term. In addition, the company has made efforts to reach out to previously underserved segments such as young adults, women, African Americans and Hispanics. Many of these initiatives are already paying dividends, as ridership and purchases among these groups have increased. Dealers also drive the Harley-Davidson Riding Academy, training new riders as a way to help increase demand for its heavyweight bikes. Harley-Davidson is also considering the purchase of the Ducati motorcycle brand in an effort to strengthen its relevance to younger buyers. But, the cost may be a bit pricey at $1.7 billion. While Ducati might add cache, will it grow revenue? That’s difficult to say, as Ducati sells approximately 50,000 plus bikes a year compared to over 240,000 for Harley-Davidson worldwide. Harley-Davidson has established a relatively tight supply chain designed to reduce cost and increase efficiency. Through its innovative supply chain management practices, Harley-Davidson has established real-time integration with many of its top suppliers. Orders are tracked in real-time along with stringent pricing and performance metrics designed to keep supplier pricing competitive and of the highest quality. According to CSIMarket.com, a financial media company that provides integrated financial information, Harley-Davidson suppliers increased sales by 16.6% year over year in 1Q 2018. During the same time, suppliers’ net income increased by 3.12%. Most of the increase was seen in the Auto and Truck Manufacturing sector (313%), Aluminum sector (146%) and Construction and Mining Machinery sector (31%). Based on these numbers, suppliers should be well-positioned to continue contributing to the success of Harley-Davidson, but what bears watching is its potential purchase of Ducati and the potential for additional debt on the balance sheet. The more debt Harley-Davidson takes on, the more mindful suppliers should be of the company’s ability to innovate and quickly respond to changing market forces. It’s wise for suppliers to consider the 5 points identified in our recent blog titled The Toys “R” Us Bankruptcy Tragedy and the 5 Lessons Suppliers Must Learn to Protect Their Revenue. For now, Harley-Davidson is in the midst of a pretty good fight with competitors and a changing market place. Should suppliers be worried? Worry is not the prescription suited for suppliers when it comes to the motorcycle company. Rather, sober consideration of the company’s financials over the next 12 to 18 months and ensuring one’s customer base is diversified are the true remedies for any supplier organization when a customer faces financial challenges. Only time – and the perception of cycling among younger generations as they mature – will tell whether the best is yet to come for this iconic, American motorcycle company. Ernie Martin is Founder and Managing Director of Receivable Savvy. He brings over 25 years of experience in financial supply chain management, marketing and communications and draws upon his extensive experience to share knowledge and best practices with AR professionals. He currently chairs the Vendor Forum of the Federal Reserve Bank of Minneapolis and his resume includes time at several well-known brands and companies such as Tungsten Network, Delta Airlines, CIGNA Healthcare and Georgia Pacific as well as a number of years as an independent consultant. Blockchain May Be a Silver Bullet for Addressing Many Business Processes, But Are There Serious Shortcomings?